Anya Parampil updates viewers on recent charges against Russian national Elena Alekseevna Khusyaynova, who the US accuses of spreading “distrust towards candidates for political office and the political system in general”. 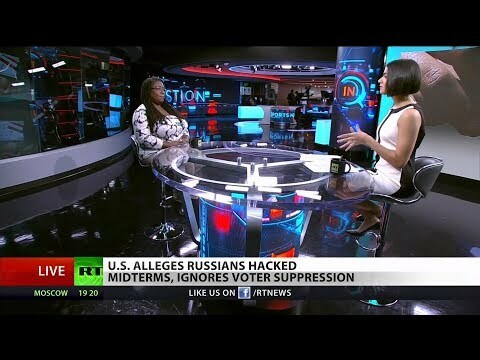 Anya then asks which is a bigger threat to the US election system: Russian troll farms, or the GOP’s push to remove millions of Americans from the voter rolls? Jacqueline Luqman, co-Editor of Luqman Nation, joins In Question to ask why democrats aren’t making a bigger issue out of voter disenfranchisement.